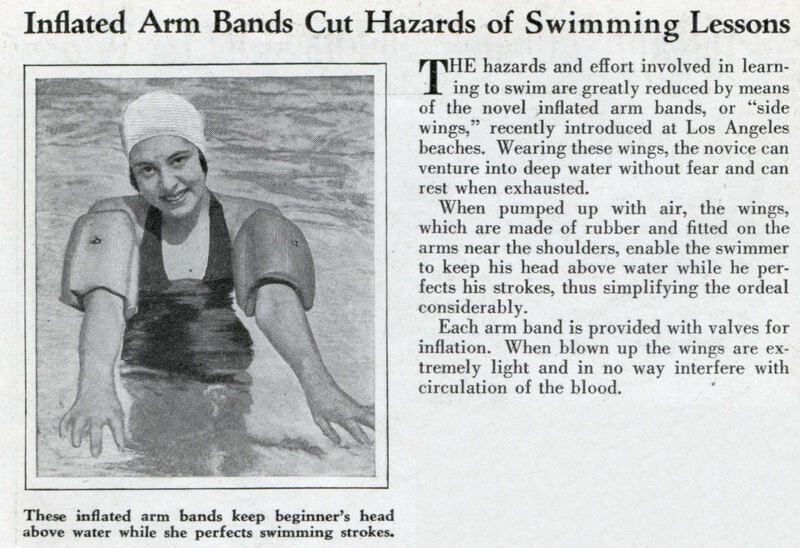 THE hazards and effort involved in learning to swim are greatly reduced by means of the novel inflated arm bands, or “side wings,” recently introduced at Los Angeles beaches. Wearing these wings, the novice can venture into deep water without fear and can rest when exhausted. When pumped up with air, the wings, which are made of rubber and fitted on the arms near the shoulders, enable the swimmer to keep his head above water while he perfects his strokes, thus simplifying the ordeal considerably. 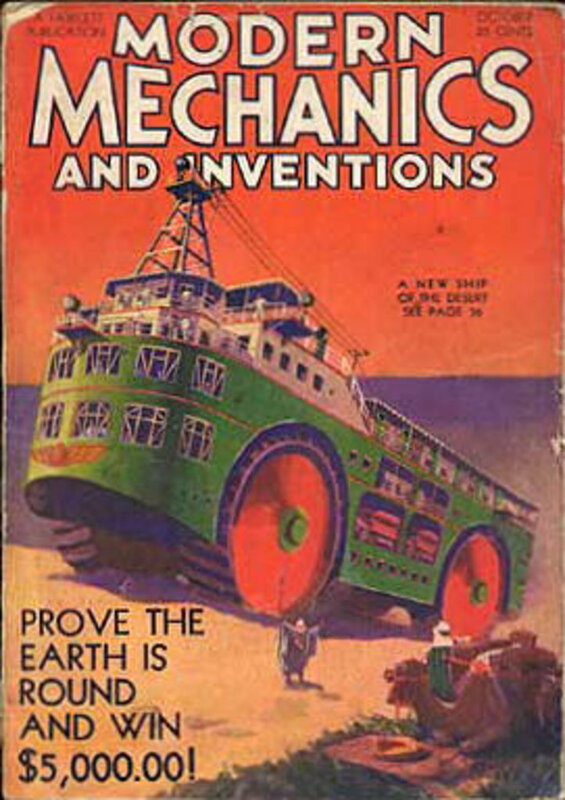 Each arm band is provided with valves for inflation. When blown up the wings are extremely light and in no way interfere with circulation of the blood.